The first CamAWiSE workshop – the careers series is returning for 2015 – was on the tricky subject of Unconscious Bias. Why tricky? Mainly because our biases are often unconscious or in other words in our subconscious without us being aware of them! 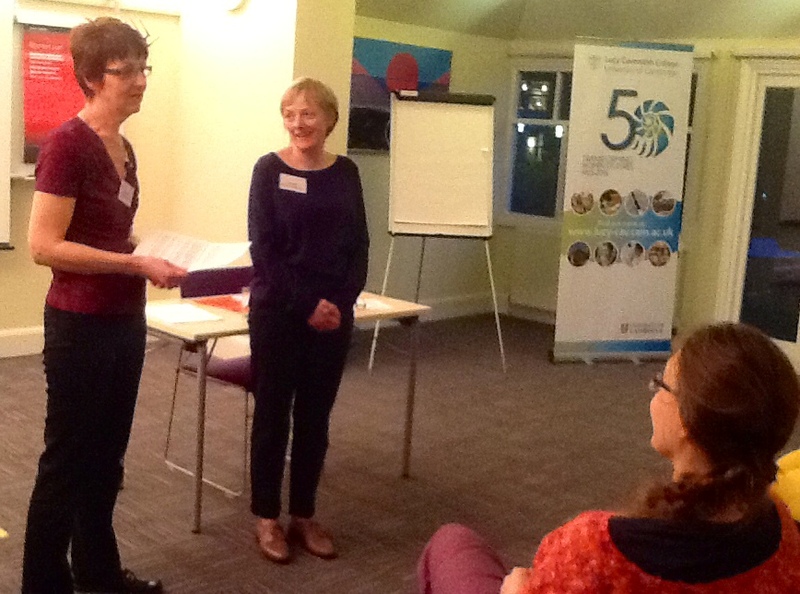 Linda introduced us, in smaller groups, to some recent research which revealed that in a study by Corinne Moss-Racusin and colleagues (reported on in 2012) scientists were presented with application materials from a student applying for a lab manager position. Half the scientists were given the application with a male name and the other half with a female name attached. Results found that the female applicants were rated significantly lower than the males in competence, hirability and whether the scientist would be willing to mentor the student. Lower starting salaries were also offered to the “female” applicants. After reading this research, groups were encouraged to share their experiences and question why for example a group of women, even when they outnumber one or more men, might defer to a man in a discussion or a meeting at work. Lively discussion, which was shared with everyone present, included a lady who had changed her name on exam papers to hide the fact that she was a woman taking science/engineering-related exams for fear of gender discrimination from one particular tutor! Others believed that having seen men take major roles for so long in almost everything except maybe The Arts (and even here…) that no matter how many prominent females come forward, these work and social hierarchies are still taking a long time to shift. “So what’s going on?” asked Linda, who explained that there is a body of research over the past 15 years to look at possible reasons for and examples of unconscious bias. “Reality is a construction we experience then add meaning”. This was one of Linda’s key messages to impart. I took this to mean that we all construct our own reality from what we see and hear around us and it was really helpful to understand that we are all complicit in it and that one of the causes of unconscious bias is that we want to simplify the world in order to understand it and therefore can be guilty of “putting people into boxes” ie unconscious bias turns into confirmation bias once we have selected, organised and interpreted a situation or person. We all understand that in life there are ‘in groups’ and ‘out groups’ in certain situations and we were asked to think about the impact of being on the outside of a group and look at our decision-making about why we are drawn to particular people and if that is a result of a bias (bias isn’t always bad but doesn’t leave a great deal of room for ‘grey areas’) so bias can be harmful if it is widespread in the ‘wrong hands’ for example if a male employee is only prepared to hire in his own likeness or is behaving inappropriately with a group of men at work then women will suffer (and vice versa). Confusingly, women are also often biased towards other women and can overlook females seeking promotion or not be supportive to women trying to return to work. Linda made us laugh with statements such as “Life is much simpler if you are always right” so going with our gut instinct can feel right but can it be biased? If this all sounds a bit depressing, we were encouraged with the assurance that awareness is the first step to tackling the issue of unconscious bias. Support – being part of a sympathetic group like CamAWiSE! Perhaps we all have a role in changing things……. 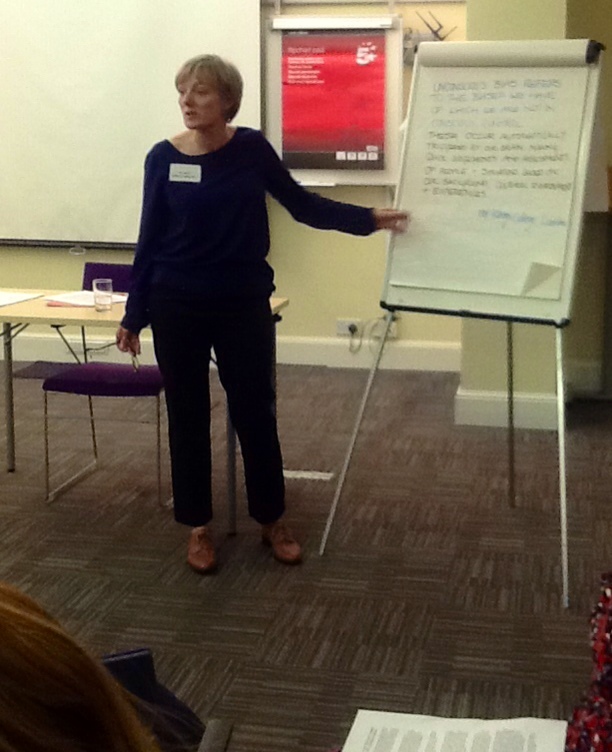 Linda is a facilitator, trainer and consultant, with a background in information and media management. She has trained hundreds of people in leadership and team working skills, worked with a range of clients from the media, PR and technology sectors. She has an MSc in Adult Education from City University, with a particular interest in building creativity in organisations, and a certificate in facilitation from Henley Business School. Linda is a certified coach in relational dynamics. Strategies for boosting performance and satisfaction among your colleagues. Unconscious bias refers to the biases we have of which we are not in conscious control. These biases occur automatically, triggered by our brain making quick judgments and assessments of people and situations based on our background, cultural environment and our experiences. Self monitoring of self awareness. Disconfirmation bias. Look for the evidence that challenges your thinking. Consistency comes from commitment. Become an active bystander.